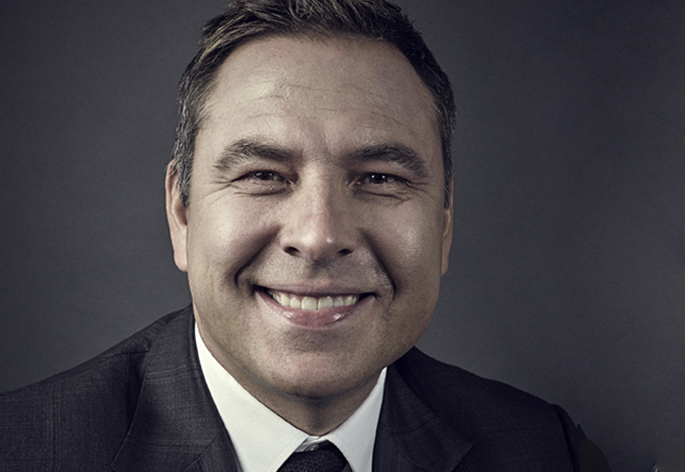 David Walliams has revolutionised reading for children and has become one of the most influential writers today. Since the publication of his first novel, The Boy in the Dress (2008) illustrated by the iconic Sir Quentin Blake, David Walliams has seen ten years of unprecedented growth with global sales exceeding twenty-three million copies, and his books have been translated into fifty-three languages. In July, 2017 David became the first children’s writer to spend 100 weeks (non-consecutive) at number one in the children’s charts, beating his rivals by over 20 weeks. He also topped the Sunday Times bestseller charts four times, more than any children’s author ever. His most recent novel, Bad Dad was the biggest selling children’s book of 2017 achieving sales of 92k in four days – David’s biggest ever launch. The book dominated the charts, going straight to the industry number one slot where it remained for four weeks and at children’s number one for an astonishing nine weeks. David closed the year with Bad Dad taking out the coveted Christmas number one– a spot David has secured for the last three years running! With a canon of ten chartbusting novels and six hilarious picture books Walliams has cemented his place as one of the most important children’s authors of our time. The Guardian recently hailed him “as important to the market as any Booker prize-winner and heir to the Rowling crown”. The enduring popularity of David’s stories extends to stage and screen. 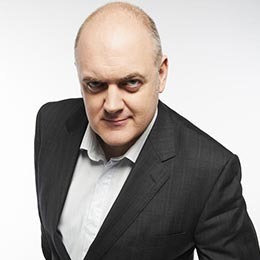 In 2014 David established King Bert Productions with Miranda Hart, Jo Sargent and Conor McCaughan with the aim of delivering original comedy, outstanding drama and unique entertainment programmes across global markets. King Bert has produced over twenty-five programmes to date including the 2017 television adaptation of Grandpa’s Great Escape for the BBC starring David alongside Sir Tom Courtenay and Jennifer Saunders. David also appeared in the Sky One adaptation of his novel, Ratburger shown Christmas 2017. The Boy in the Dress, Billionaire Boy and Gangsta Granny have also been adapted into TV comedy-dramas. David’s novels and picturebooks have also been made into touring theatre productions including Mr Stink, Ratburger, The First Hippo on the Moon and of course the Birmingham Stage Company’s Gangsta Granny and Awful Auntie. Little Britain, which he co-created with Matt Lucas, started on Radio 4 and soon progressed to BBC1. The show has won numerous international awards including three BAFTAs, and now plays in over 100 countries. Little Britain Live performed to a million people in the UK, Ireland and Australia. David and Matt followed Little Britain with the hugely popular spoof airport documentary series Come Fly with Me. David has proved himself as a dramatic actor in BBC2’s, Capturing Mary with Dame Maggie Smith, in BBC1’s Agatha Christie series Partners in Crime, as Frankie Howerd in the biopic Rather You Than Me for BBC4, and on the stage in Harold Pinter’s No Man’s Land starring alongside Sir Michael Gambon. 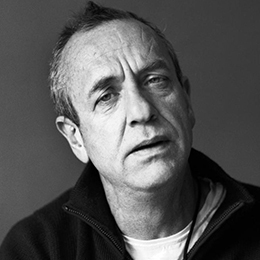 He received the Comedy Award at the Evening Standard Theatre Awards for his performance as Bottom in A Midsummer Night’s Dream directed by Michael Grandage. 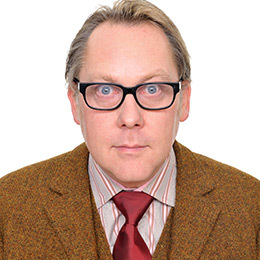 His film credits also include The Look of Love, directed by Michael Winterbottom, Great Expectations directed by Mike Newell, Dinner for Schmucks with Steve Carell and Paul Rudd and directed by Jay Roach, Run Fat Boy Run directed by David Schwimmer and starring Simon Pegg, and Stardust directed by Matthew Vaughn. David is a trustee of Comic Relief, a charity he has personally raised £8.5m for – he most notably swam the English Channel in 2006 and the River Thames in 2011 to raise awareness for the charity. David is also an Ambassador for the children’s charity, Make A Wish. Due to David’s generous support of Comic Relief and other charities he was awarded an Officer of the Order of the British Empire (OBE) in Summer 2017 as part of the Queen’s birthday Honours. Since 2012 David has appeared as himself as a judge alongside Simon Cowell on one of the biggest shows on TV, Britain’s Got Talent.